The Clamp-on Cup Holder makes it easy to attach Fleximug to a wheelchair, walker, hospital bed, or just about anything else with a tubular construction. 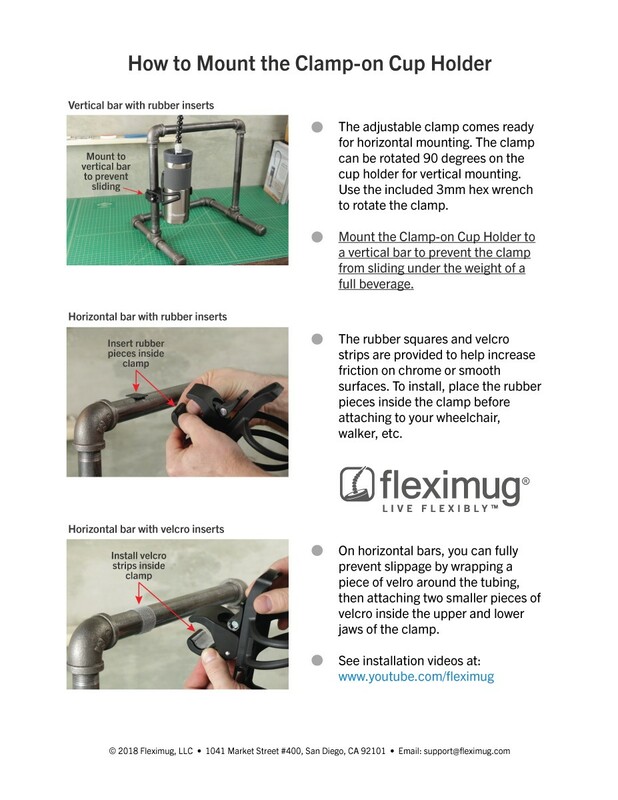 Easy on, easy off mounting clamp won't slip or mar surfaces. 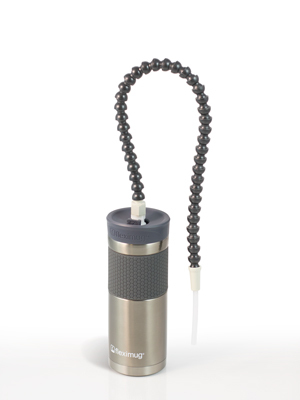 Flexible arms are 3" in diameter, designed to hold popular sized beverage containers from 12 to 20 oz. 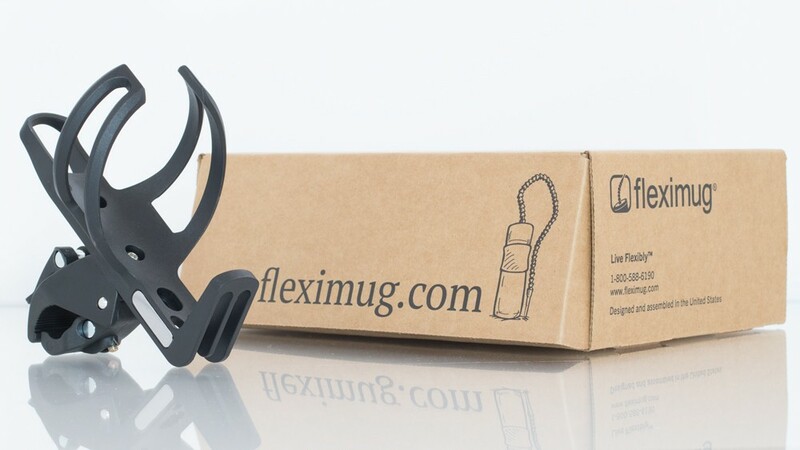 Fits Fleximug perfectly. 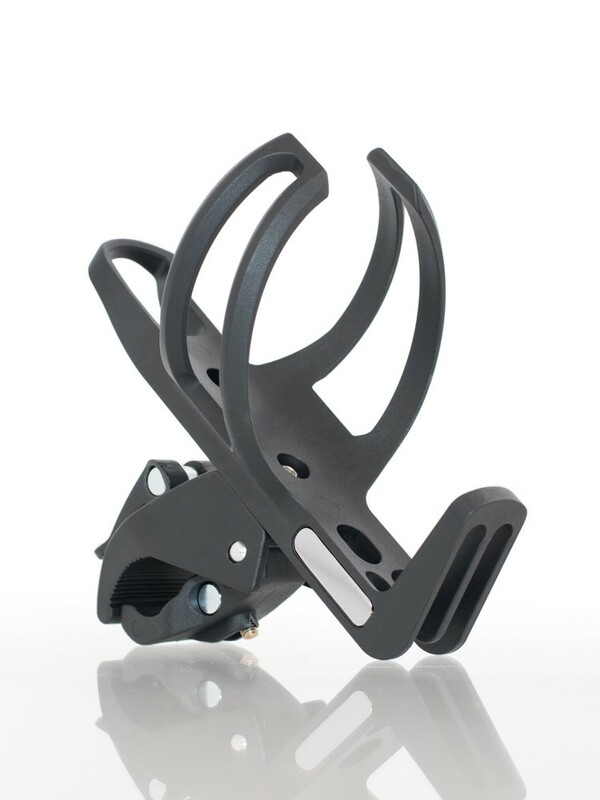 Heavy-duty serrated nylon clamp with zinc plated hardware can be mounted in horizontal or vertical positions. Clamp is designed for 1/2" to 1-3/4" circular or round surfaces. Manufactured by Bear Claw. Fleximug sold separately. Please take a few minutes to get to know your new cup holder. 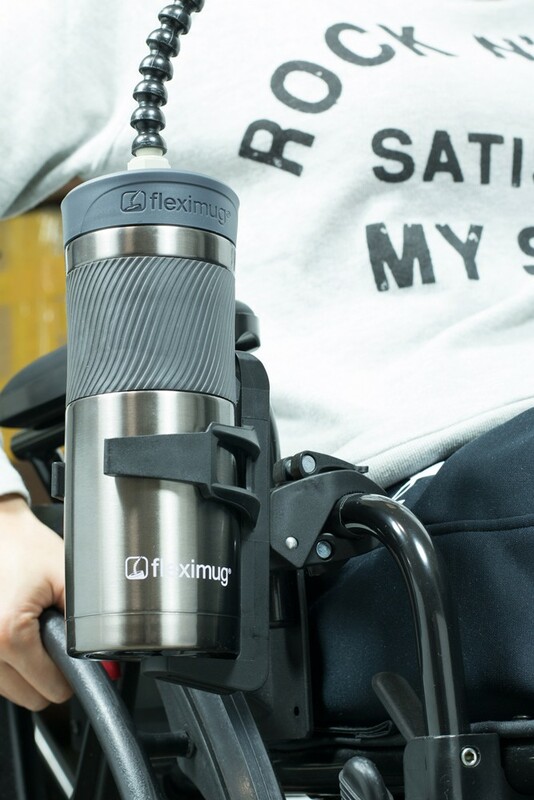 The Clamp-on Cup Holder is designed to hold Fleximug, but also works well with most 12-20 ounce cans, cups, travel mugs, and popular-sized water bottles, from 1⁄2-1 liter capacity. Where should I mount the cup holder? 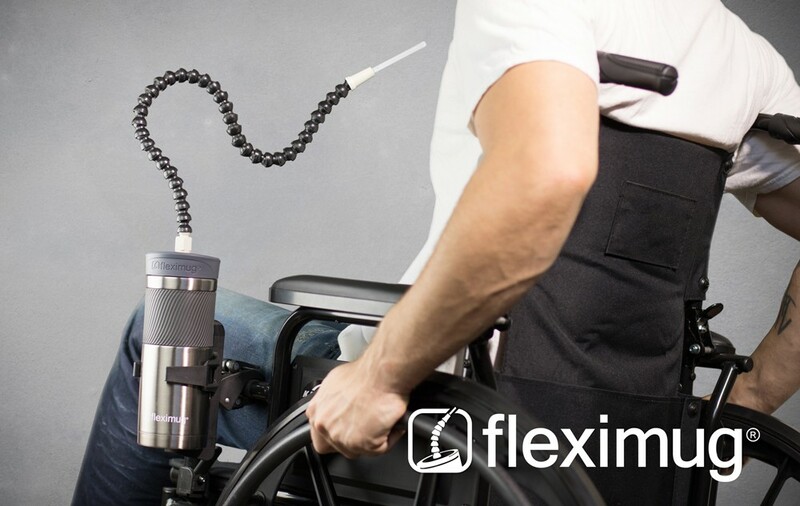 The adjustable clamp is designed to fit 1⁄2" to 1-3⁄4" diameter circular or oval parts – including wheelchairs, walkers, hospital beds, or just about anything with a tubular construction. For best results, mount to a vertical bar to prevent the cup holder from rolling downward under the weight of a full beverage. Don't mount the cup holder on bent or tapered parts. Don't over-tighten the clamp! What are the pieces of rubber and velcro for? The rubber squares and 3M Dual Lock™ strips are provided to help increase friction on chrome or smooth surfaces. To install, place the rubber pieces or Dual Lock strips inside the clamp before attaching to your wheelchair, walker, etc. The Dual Lock and rubber pieces will help keep the clamp from sliding once the cup holder is installed. Black electrical tape or two-sided tape can also be used for a sturdy, non-slip installation. Do I need tools to mount the cup holder? The durable nylon cup holder is designed for installation with or without tools. The adjustable clamp comes ready for horizontal mounting. 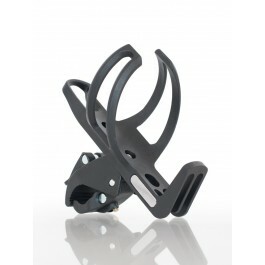 The clamp can be rotated 90 degrees on the cup holder for vertical mounting. Use the included 3mm hex / Allen wrench to rotate the clamp. How does the clamping device work? 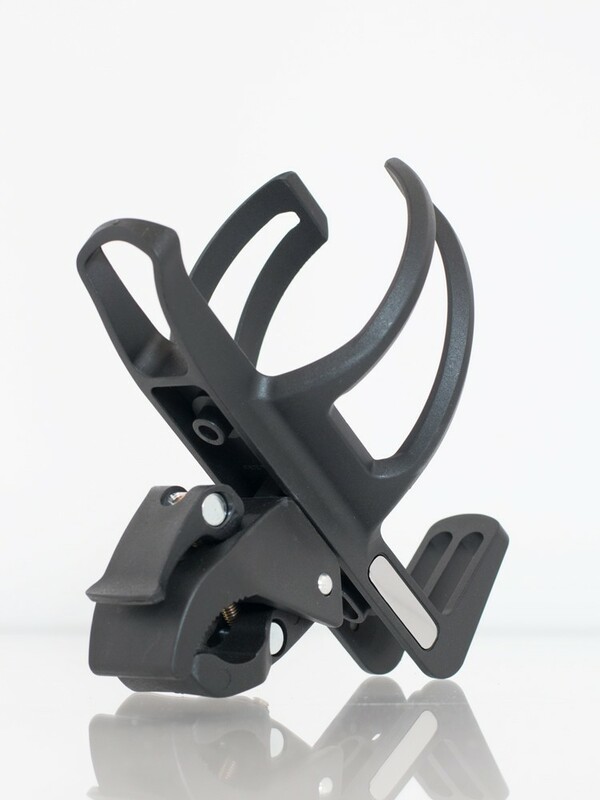 The heavy-duty clamp can be opened or loosened by turning the hand-operated "cam-locking" lever to the left or counter clockwise. To close / tighten the clamp, turn the hand-operated cam-locking lever to the right or clockwise. 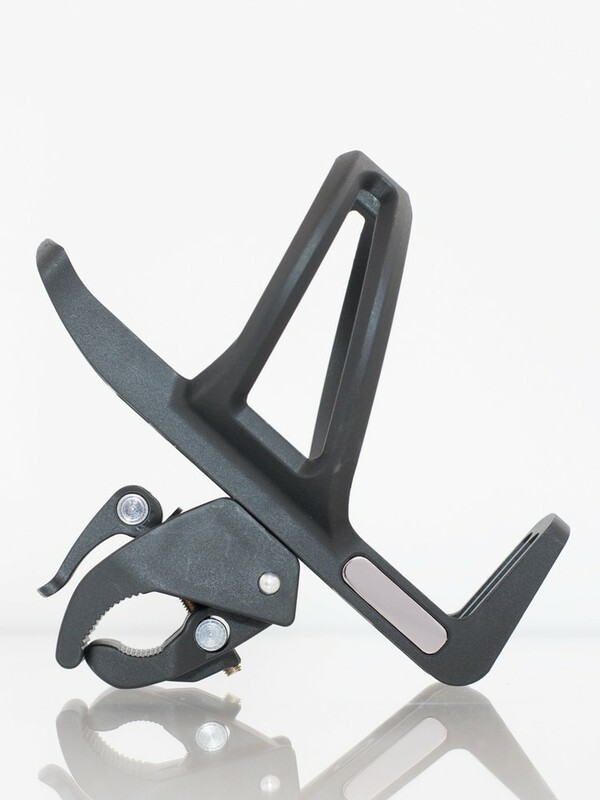 To fully tighten the clamp, the cam-locking lever must be pushed down on the clamp. If you don't have much hand strength, you can use padded pliers to turn and lock down the clamp. Be careful not to over-tighten — you only need to hold your coffee! Can I rotate the clamp on the cup holder? The adjustable clamp comes ready for horizontal mounting. 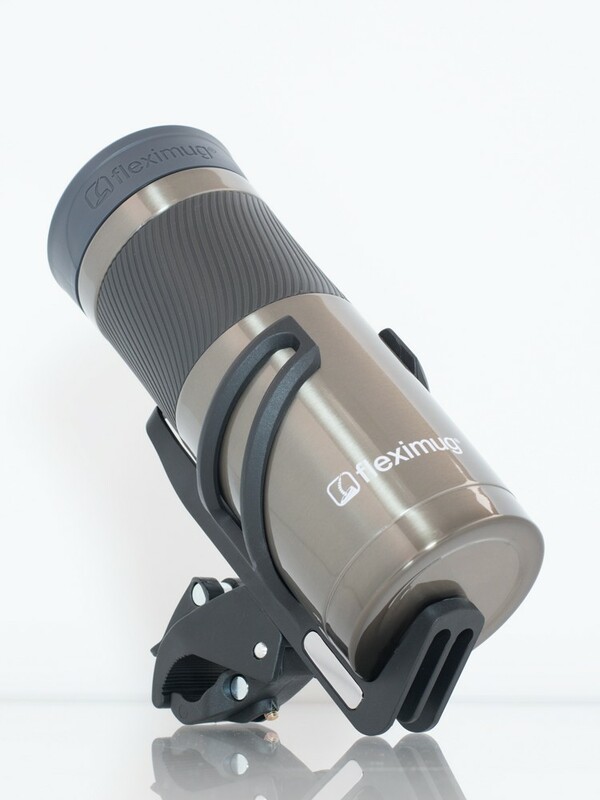 The clamp can be rotated 90 degrees on the cup holder for vertical mounting. Use the included 3mm hex / Allen wrench to rotate the clamp. Please refer to our Customer Care and FAQ pages.